A turkey isn’t just for Christmas. It’s for all year round. That was the message put out by the British Turkey board. Headed up by Paul Kelly – a good Essex boy – me and a bunch of others were entertained as a guest of Cyrus Todiwala to help promote the use of turkey throughout the year. Cyrus was an affable host, preparing dinner and chatting away. We were blown away by dishes like turkey heart pie and turkey cafreal tikka. All of us were stuffed with the amount of turkey dishes served, it really did showcase the bird! It inspired me to cook an Indian-flavoured dinner. I have to be honest and say I’d not used turkey outside of December for a few years; it’s appearance in supermarkets seems to have declined. I would quite often but the breast strips for marinating, stir frying or for pies. Using mince here I made a burger with rich masala flavours, inspired by Cyrus Todiwala’s tikka recipe. 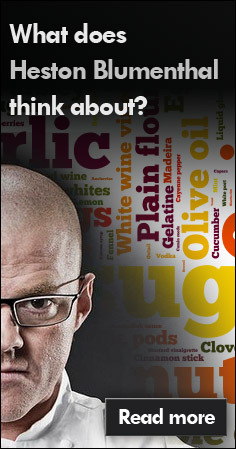 I marinated mine in clotted cream, because I had some knocking about, but traditionally you’d use yoghurt. My turkey here was succulent and meaty, and supported by spiced flavours it was a real hit. I will definitely be putting turkey in my basket more regularly. Season the mince with the turmeric and plenty of salt and pepper. Combine well then form into 4 patties, and leave covered in the fridge while you make the marinade. Bash up the garlic and ginger with the cumin, coriander and chilli powder in a pestle and mortar until you have a paste. Add the lime juice and cream and mix well to combine. Smother the turkey patties in the marinade, cover (twice!) and leave in the fridge overnight. When you’re ready to cook, preheat the oven to 200°C, get a saucepan over a high heat and the grill on medium high. 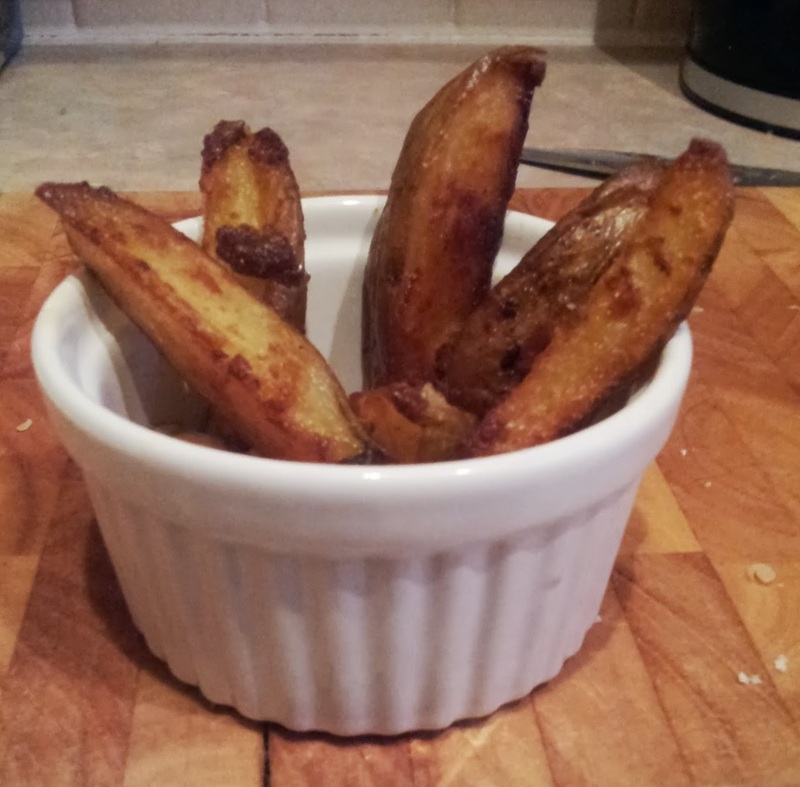 Slice the potatoes into wedges, dust with the cumin and drizzle with oil. Roast for 30 – 40 mins, turning frequently until starten to blacken at the edges. Sprinkle salt over as they come out of the oven. When the potatoes are in the oven, put the onion in a bowl with the vinegar and a pinch each of salt and sugar. Stir occasionally. Add the cumin and nigella seeds to the saucepan and allow to heat for a minute. Add the cauliflower and jam the lid on. Toss frequently and cook for about 15 minutes or until tender. Add the onion for the last minute of cooking and check for seasoning. Grill the burgers for about 6 – 9 minutes each side, until browned and cooked through. Serve in a toasted burger with plenty of mango chutney. This entry was posted in chilli, clotted cream, coriander, cumin, garlic, ginger, nigella seeds, turkey, turmeric and tagged cyrus todiwala on September 23, 2013 by Gary. I found myself in GBK at the weekend. It was supposed to be family lunch at Las Iguanas, but a few seconds of appalling customer service had me trundle a few steps down Lakeside’s Boardwalk to the burger parlour. I was surprised how much I enjoyed it – a tasty “Capital” cheeseburger with standard accompaniments, a choice of brioche or regular sesame seed bun and all the monkey nuts you can eat. But the shoestring fries were great, particularly when you shake over their hei hei salt. Pretty much all American diner-style eateries in the UK coat the fries in a salty concoction, and I’d been meaning to make one of my own for ages. Serving up wedges this week meant this was a great excuse. If you’re looking for an interesting salty-spicy mix to dust your chips or wedges, this is a great place to start. 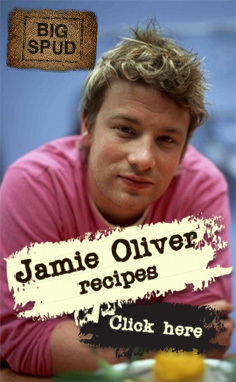 You can then of course add or remove other spices to your taste – a curry powder would be nice. There’s two levels of seasoning here; in my experience of roasting potatoes the salt flavour simply disappears (where does it go?). So the initial salt is merely grist to combine the ingredients, whilst the second salting is the true seasoning of the wedges. You should really use garlic salt for hei hei seasoning but I prefer to have more granular (ha!) control over the seasoning. Preheat the oven to 200°C. Slice the potatoes into wedge shapes. In a pestle and mortar, combine all the marinade spices and pound withe garlic until you have an orangey-brown paste. Add oil until you have a gloopy mixture and coat the wedges liberally. Arrange cut sides down on a baking tray and roast for 40 minutes, turning every ten minutes, until crisp and cooked through. Combine the seasoning ingredients and shake over the fries as you serve. You’ll probably have excess seasoning for another day. This entry was posted in cumin, food, garlic, paprika, potatoes, turmeric on August 9, 2013 by Gary. 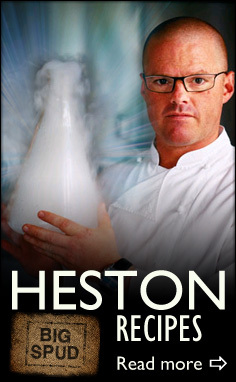 Another year, another royal celebration, another round of special dishes by Heston Blumenthal. Following last year’s trifle to commemorate the royal wedding, this year Heston produced a panoply of picnicky treats. I’ve had a stab at one here: Diamond Jubilee Chicken. 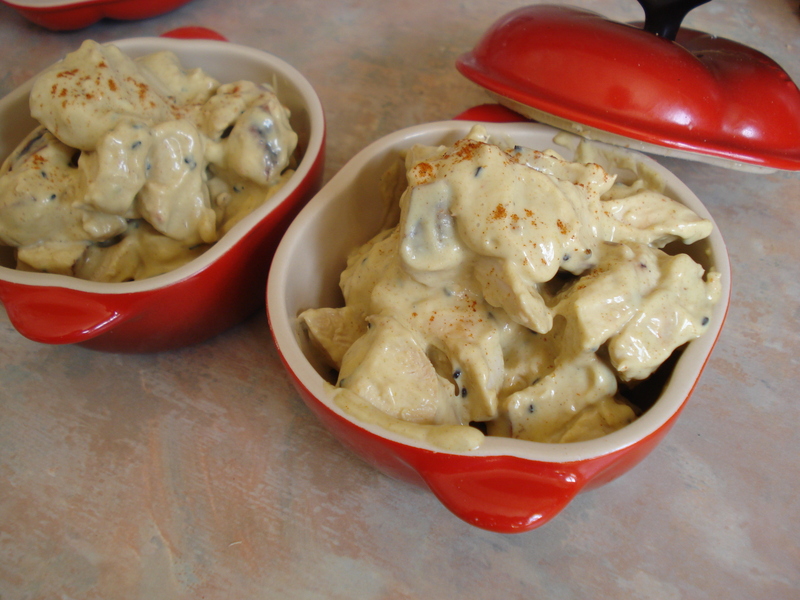 I’m really not a fan of coronation chicken, the dish originally commissioned for the Queen’s coronation. For me the fruit in there just really jars. Thankfully this version dismisses all that and you get a lovely curried chicken mayo. I read the summary of the ingredients and given it a go myself. You can skip the brining if you like, but brining gives you succulence and depth of flavour, with a lovely finish of peppery nigella seeds which I adore. I haven’t been able to try the shop-bought version. It may or may not taste like the Heston dish but it makes a great buffet treat regardless. Put the chicken and all the brining ingredients in a large bowl. Cover with water and add enough salt to make an 6% brine solution. Allow to brine for 6 hours, then drain, rinse and pat dry. Grill the chicken until cooked through (I used a George Foreman Grill). Allow to cool on a wooden board and then slice into bite-size chunky pieces. For the dressing blend all the ingredients together, then stir in the chicken. Dust with paprika and serve with toast, crudites or salad. 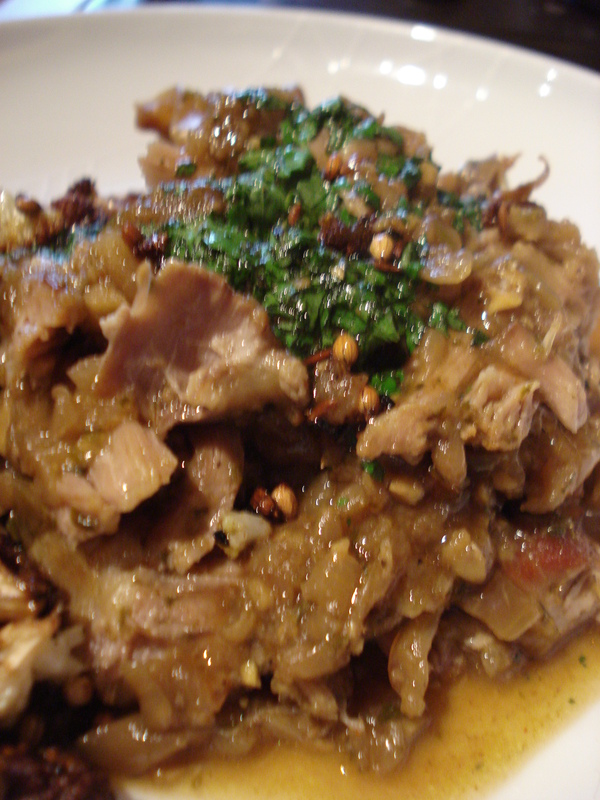 This entry was posted in chicken, coriander, cumin, curry, fennel, food, golden syrup, nigella seeds, turmeric and tagged heston blumenthal on June 3, 2012 by Gary. Flushed with the success of Simon Hopkinson’s stunning lamb breast dish, I felt the only way it could be improved is with the addition of curry spices. The Indian flavours I felt would surely go well with rich lamb. At the same time I stumbled upon other people doing the same dish, such as Girl Interrupted Eating. She’d chosen to do this in the slow cooker so I thought I’d do the same. I asked if she’d fried the onions off beforehand, as in my experience onions aren’t good at breaking down in a slow cooker. However in my haste I got on and cooked them off anyway, before Becky could reply that she didn’t! Mine turned out very nice – warming and spiced and just breaking through the fatty lamb. It kinda tasted like it had been baked in mango chutney. Juicy and filling, not what you’d call a light dinner! Good fun though. Pre-heat your slow cooker to low. Heat a little oil in a large frying pan and sear the lamb on each side. Put to one side while you fry the onions gently. Remove the leaves from the coriander bunch and reserve for later. Put the stalks on a chopping board with the garlic and ginger and chop together to a chunky paste. When the onions have softened add the coriander / garlic / ginger mix. Fry for a minute and then add all the spices, frying for another minute. Add half the onion mix to the slow cooker, pop the lamb on top then add the remaining onions. Add a splash of water and pop the lid on for about 6 hours, or until the lamb can be pushed apart with a spoon. Remove the lamb to the side for one minute so you can remove any bones or gummy bits of skin ‘n’ stuff that lamb breast can have. Pop a sieve on a saucepan and put the onions into the sieve. Put the lamb and drained onions with a sprinkle of salt back into the slow cooker while you work on the reserved liquid. Simmer the liquid until reduced by half, add a dash of white wine vinegar and the coriander leaves. Dish up the lamb and onions, spoon over the sauce and serve with crispy cauliflower. This entry was posted in coriander, cumin, curry, lamb, onion, turmeric on September 4, 2011 by Gary. 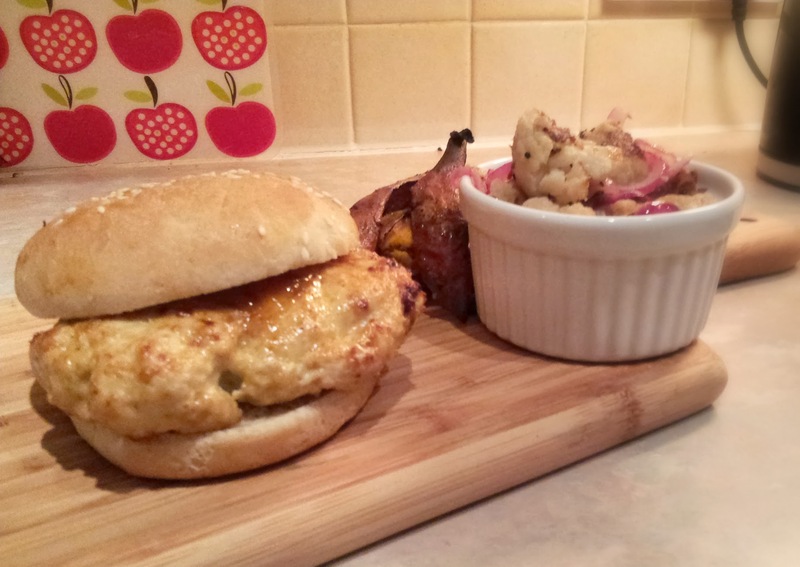 I can’t get enough cauliflower, and am always quick to toss out a few recipes for those that think it dull and dreary. I was dead pleased to see an article in the latest Delicious magazine devoted to the joys of the cauli. It’s not just for cauliflower cheese, y’know. Rinse the lentils thoroughly then simmer them in the stock for 20 minutes until tender. Set aside. Heat a little oil in a pan, and drop in the cumin seeds. After 30 seconds or so they will spit and jump about so throw in the cauliflower and get some dark brown scorches on them. Remove to one side. In the same pan fry the onion until soft (about 10 minutes), then add the garlic. After a couple of minutes stirring add the cumin, turmeric and curry powder. Cook for a further minute, then add the coconut milk, tomatoes and cauliflower. Simmer for fifteen minutes, until the cauliflower is tender. Stir the lentils into the curry and season well with salt. Leave to simmer so everything is piping hot, then turn off the heat stirring in the yoghurt with some vigour (this will avoid separation). Throw some coriander over the top. For the tarka, get the oil sizzly hot and add the spices. After a minute’s crackling turn the heat off and toss the lot over the curry. Serve with soft and puffy naan bread. 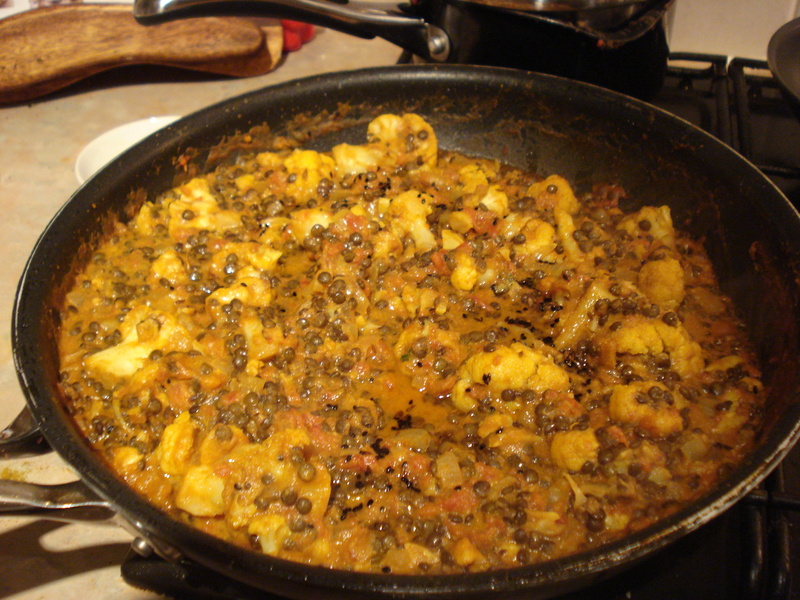 This entry was posted in cauliflower, curry, curry powder, lentils, turmeric, yoghurt and tagged debbie major on October 4, 2010 by Gary. Another delight tweaked from Leon Fast Food . A quick and easy side dish. 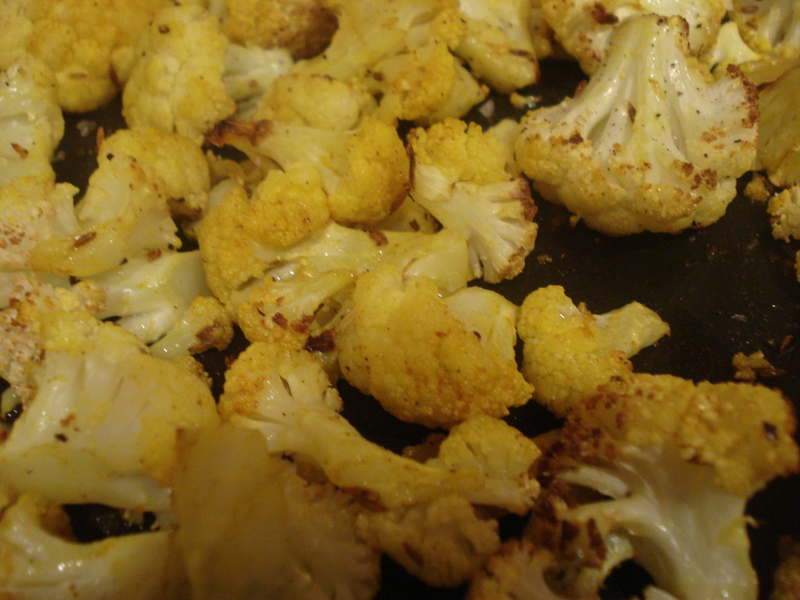 I suspected roasting cauliflower would render it quite dry, but surprisingly it’s still nice and juicy in the middle. I ran this one past one of the authors, who offered the following advice. I am going to make it again this weekend! This entry was posted in cauliflower, cumin, turmeric and tagged henry dimbleby on September 19, 2010 by Gary.